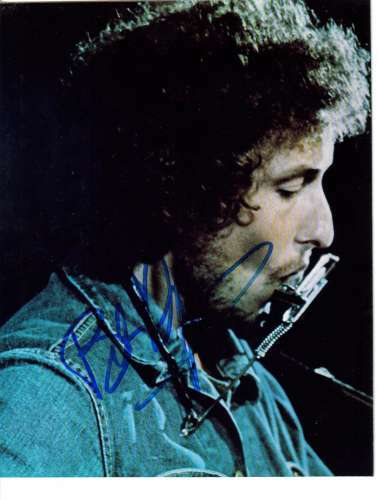 Drew Totten Autographs Item: 0000283991 -- Bob Dylan Awesome Autographed Closeup Photo! Bob Dylan Awesome Autographed Closeup Photo! Drew Totten Autographs has been buying and selling autographs for more than 25 years. Please remember that bidding on our site constitutes a binding non-cancellable contract, so bid carefully. We accept PayPal, Certified Checks, Money Orders, MasterCard, Visa and Discover cards as payment. All payments must be made in U.S. funds only.